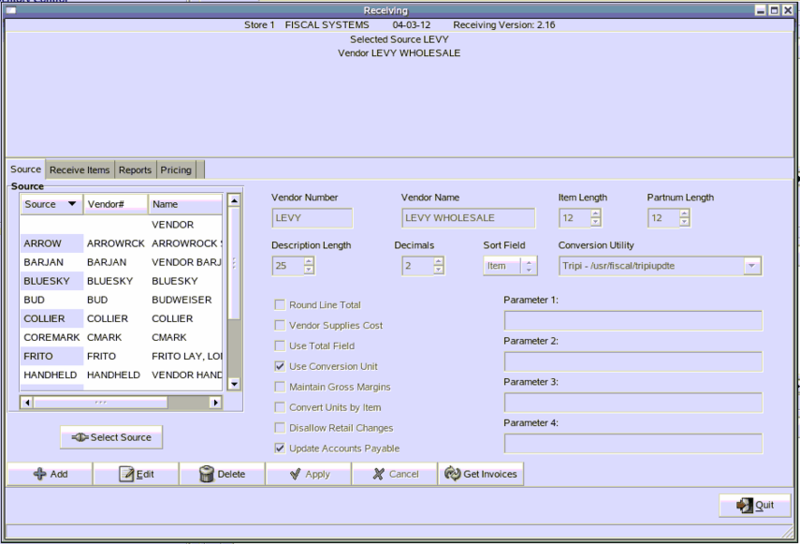 TravStar1 Point Of Sale SystemManager's Work Station Inventory ControlHow Do I Setup a New Vendor? How Do I Setup a New Vendor? 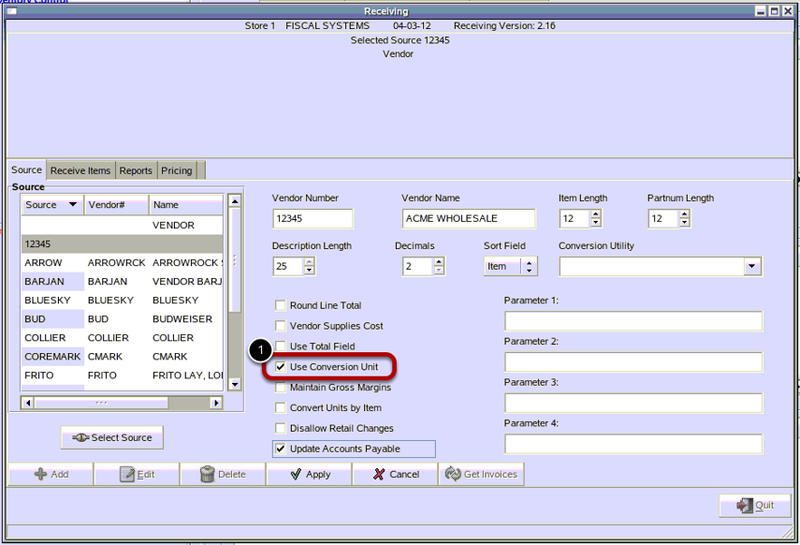 This lesson will teach how to add a new Vendor to the system. Vendors are used to receive items and to place purchase orders. 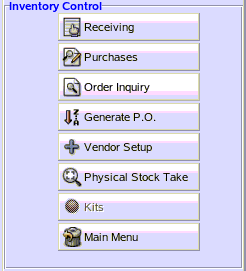 From Inventory Control, click on "Vendor Setup". 1) To Add a new Vendor click "Add". 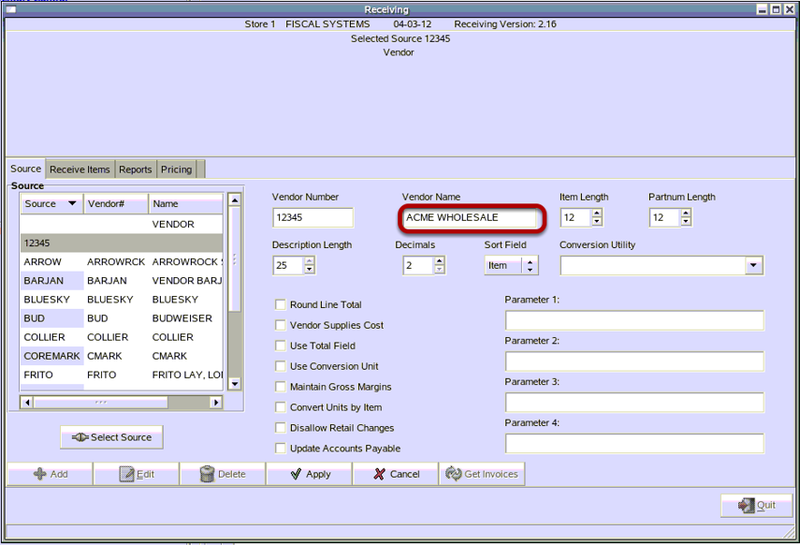 2) To Edit an existing Vendor click "Edit". 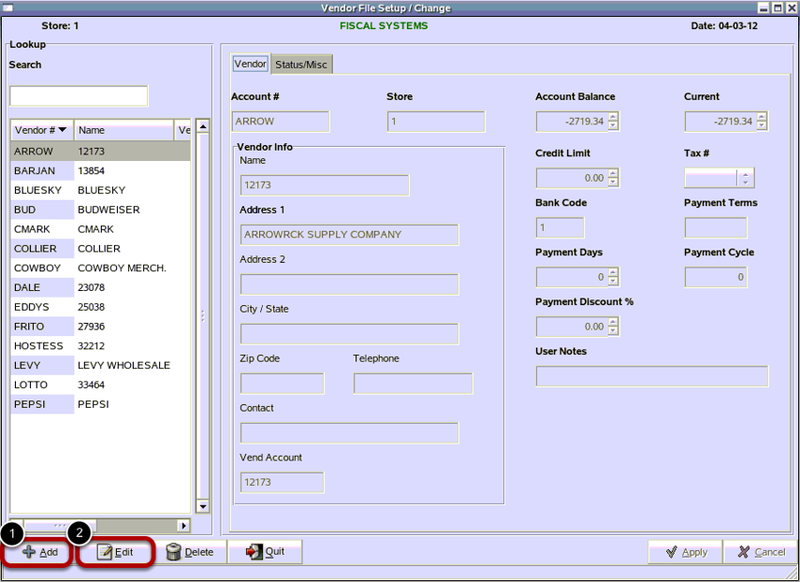 Type your Vendor Account ID. A Vendor Account can be alphanumeric. You can make it a number such as 12345 or a name such as COKE. Type in your vendors name and any other information you would like on their record. The only field that is required is the Account #, but it is recommended you enter a name. It will be important in identifying the vendor in other parts of the system. 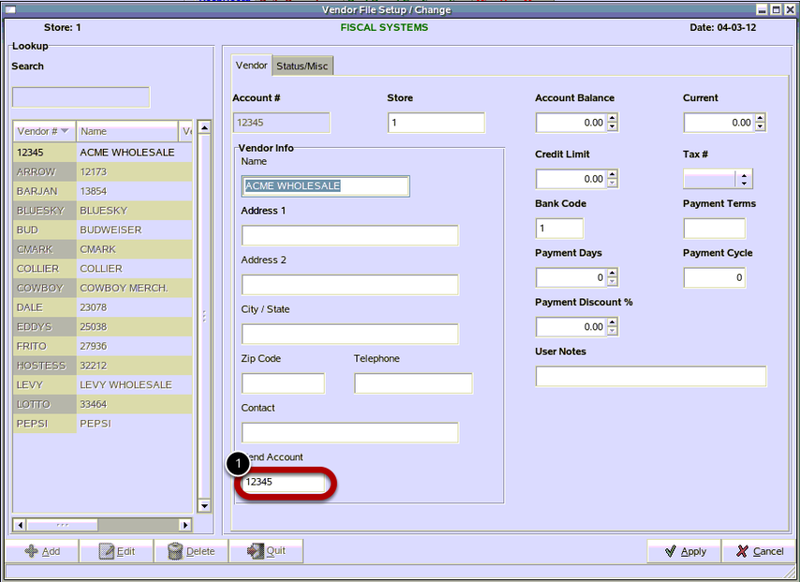 1) If you are entering name for Vendor # then you can put the Vend Account number in the Vend Account field. 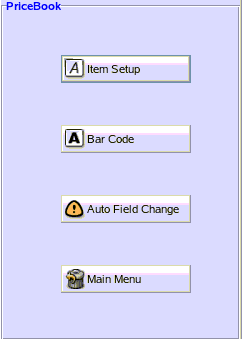 The remaining fields on the Vendor tab and the Status/Misc tab will be explained in the Glossary. Most of the fields are now obsolete. 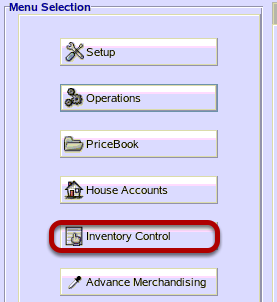 In Inventory Control, click "Receiving". 1) In Enter Source, type in your Vendor #. This must be exactly the same as the Vendor # in Vendor Setup. 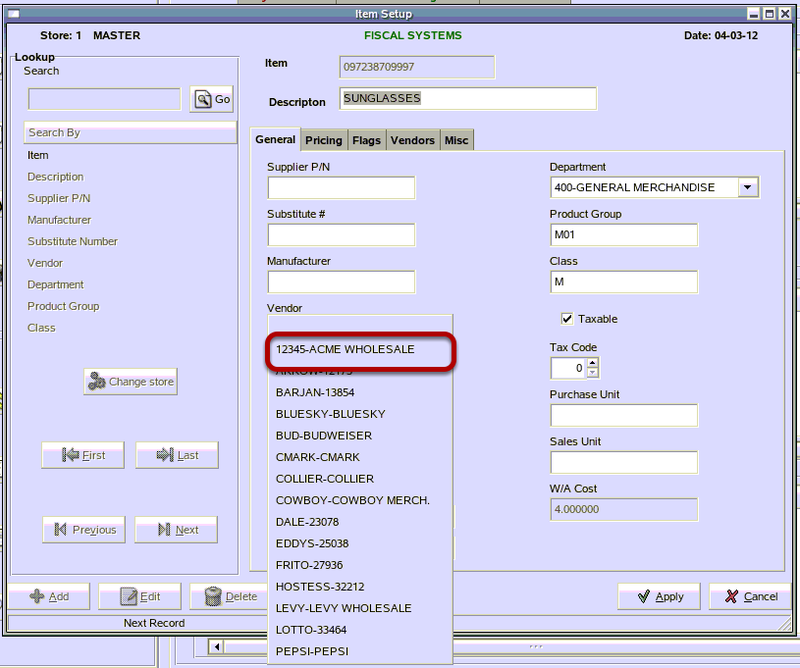 1) You should see the Vendor Name that is setup in Vendor Setup appear in the Vendor Name field. If it does not, then you have typed in the wrong Vendor Number. Above is an example of a typical source setup. An explanation of all of the fields is in the Receiving Glossary. 1) Typically, Use Conversion Unit is checkmarked. However this depends on how you receive your items from your vendor. 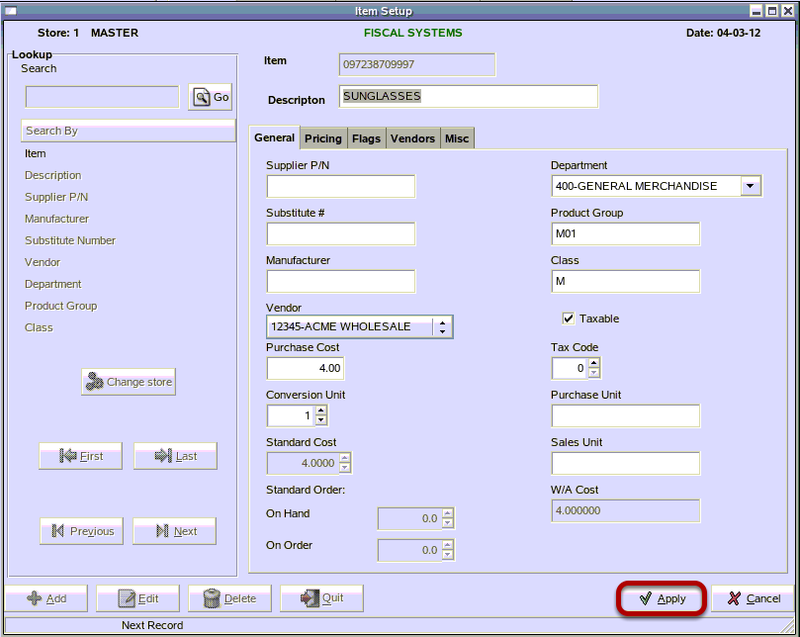 If you receive by the case from this vendor you will check mark Use Conversion Unit. 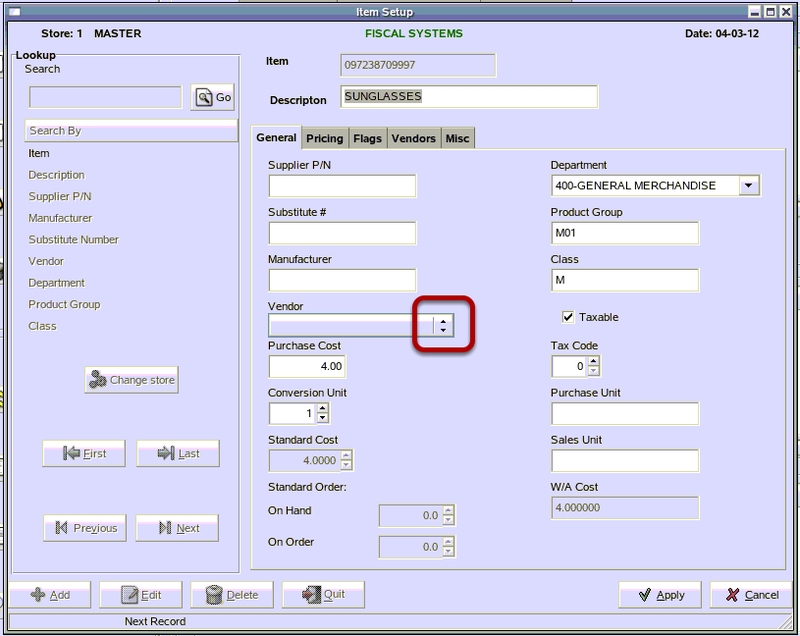 If you receive at the single or each level, uncheck Use Conversion Unit and when you receive the item you will enter the total number of items in a case as the quantity. (For example,enter 24 bottles of water rather than one case.) 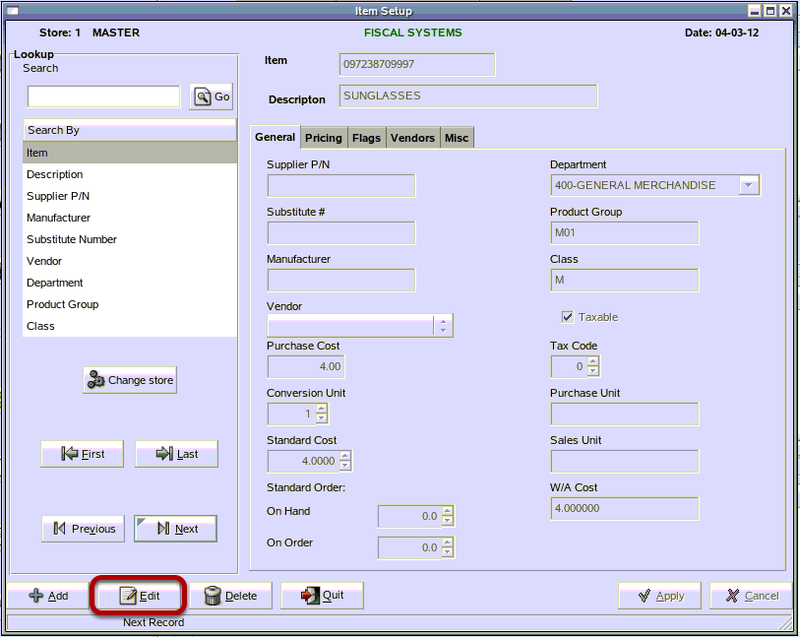 Keep in mind, if you set the system to use conversion unit, whatever you enter as the quantity received will get calculated against the conversion unit that is setup on the PLU. 2) When you have verified all your Sources settings are correct. Click on "Apply". From the main menu, click "Pricebook". 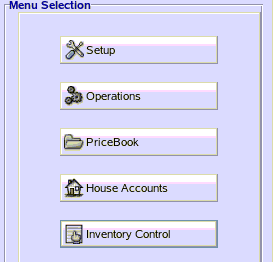 From Pricbook, click "Item Setup". 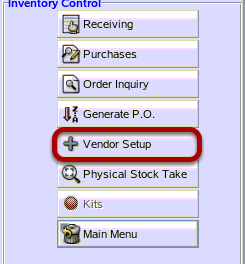 Click the down arrow to the right of Vendor to get a list of available Vendors. When you have the correct Vendor in the Vendor field, click "Apply". 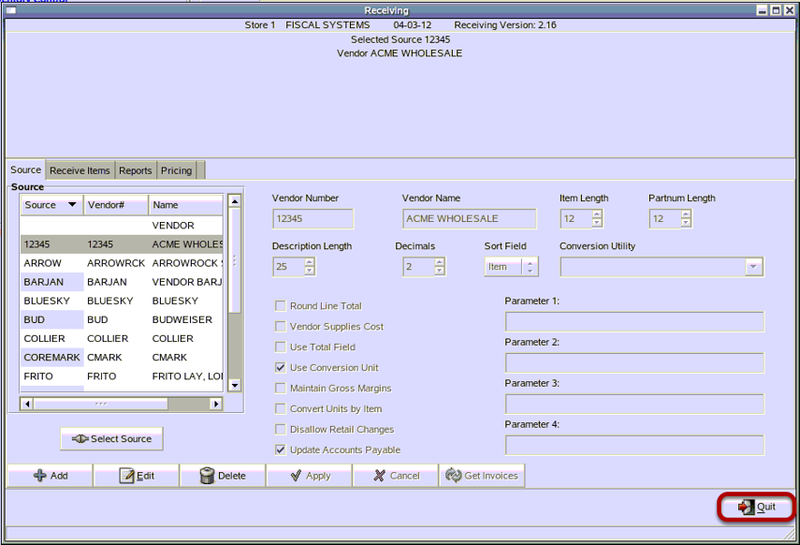 A Vendor can be assigned to multiple items at once. Refer to the lesson How Can I Make Changes To Large Groups Of Items? Prev: How Do I Edit the Items in a Sale and Price Bulletin? Next: How Do I Receive a Vendor Invoice Manually?